The purpose of Lions Clubs wherever located is to improve their communities by helping others. Most money raised by local clubs stays right where its earned, in the local community. A small percentage is forwarded to Lions Club International Foundation (LCIF) and is used for disaster relief whenever and wherever needed. LCIF was one of the first to lend a hand during the flood of 2004 providing money for immediate needs in the communities affected by the high water. Some goes to diabetes research, some to Pilot Dogs. Since Helen Keller challenged the Lions Clubs to be knights of the blind during our international convention at Cedar Point in 1925 we've supported efforts to help those affected by diminished vision. Our fund raising activities start in April when we sponsor the Bob Annasenz invitational track meet. This event brings in top high school track teams for exciting competition. Held each April at the Don Drum stadium this event showcases the talents of our area track teams. 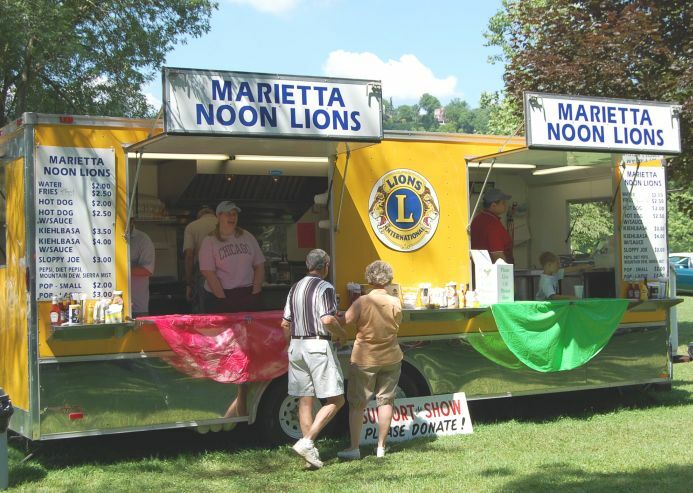 This event also marks the seasonal debut of the Marietta Noon Lions Club French Fry trailer. In June on Fathers Day we sponsor a car show inviting owners of automobiles to come and show off their vehicles in Marietta. This show is a memorial to long-time member Bill Drayer who loved classic cars and conceived the idea of a car show on Fathers Day. Our French Fry trailer is there serving fries, hot dogs and soft drinks. In July we roll out our French Fry trailer for the River Front Roar. French Fries have long been the main fund raiser for our club by satisfying the urge for good French Fries for street festivals in Marietta. In August you'll find our bright yellow trailer at the Sweet Corn Festival at Muskingum Park. There we again sell our famous French fries, soda pop, hot dogs, kielbassas, and fish sandwiches. It all goes down well with an ear of fresh roasted sweet corn. September is the month of our two biggest fund raising events, the Sternwheel Festival and the Washington County Fair. These usually give our French Fry trailer and our volunteers a real workout. October brings our rose sale to the forefront. 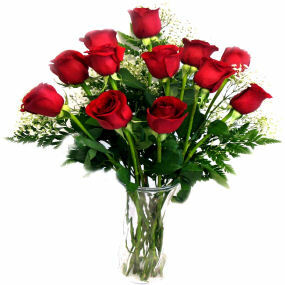 Members sell fresh cut roses. Last year the quality was outstanding and many homes in Marietta and surrounding area displayed Lions Club roses. On eight holidays of the year members place American Flags at businesses within our community. The businesses donate to the club for this service.